MOSCOW (Sputnik) - Sputnik editor-in-chief Margarita Simonyan commented on Ottawa's refusal to grant accreditation to the agency for the ministerial meeting of the Lima Group on Monday. The Ottawa-hosted ministerial meeting kicked off on Monday, with the two agencies being denied the accreditation. 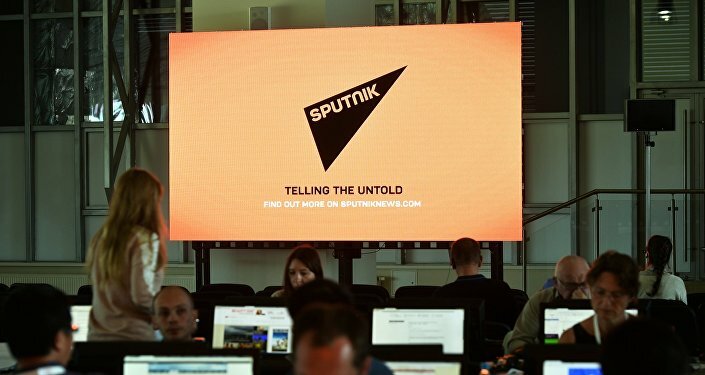 When asked by Sputnik to explain the decision, the ministry's spokesman Richard Walker said that it was made because the agency "hasn't been cordial" with Canadian Minister of Foreign Affairs Chrystia Freeland in the past. "It seems we were naive to have believed that press freedoms were a cherished value in Canada, and not an arbitrarily granted privilege bestowed only on those who cordially and unquestioningly parrot the government line, never drudging up inconvenient facts and histories. Lesson learned — and not just by us, but anyone who may dare to ask difficult questions in this most polite of countries. If this attitude is representative of the 'democratic' approach that is supposed to ensure the safe, stable and prosperous future of Venezuela, then God help them," Simonyan told Sputnik. On Sunday, Venezuela-based Telesur television network said it was similarly denied access to the Lima Group meeting by the Canadian government, which did not provide any reasoning behind the move. The Lima Group comprises 14 member states, the majority of which have been critical of incumbent Venezuelan President Nicolas Maduro and have recognized opposition leader Juan Guaido as the country's interim leader. Russia, China, Mexico and Turkey have stressed that Maduro is the legitimate president of Venezuela and called for dialogue.